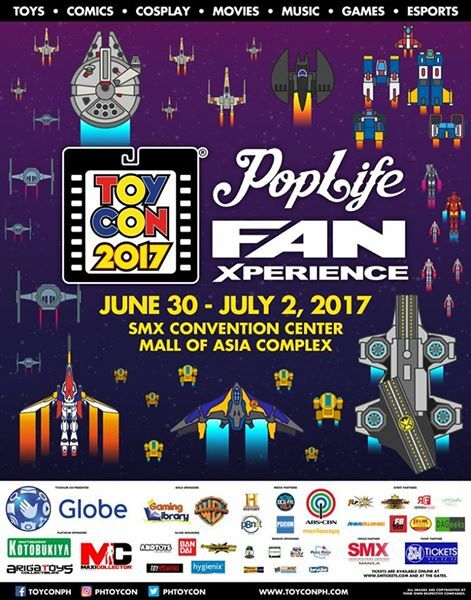 Toycon 2017 will be happening on June 30 till July 2 this year at the SMX Convention Center of the Mall of Asia Complex. Heralding the event are the international celebrities from blockbuster films coming over and wowing the fans alike. Other exciting events are in store for the fans so check them out this coming weekend at the SMX Convention Center. Tickets cost Php500 for a day, while Php1200 can get you in for the three days of the event. See you there.